For the last few weeks I have been listening to the audiobook by John Knokey, Theodore Roosevelt and the Making of American Leadership. This has probably been one of the most enjoyable and fascinating biographies I’ve ever read. Knokey traces the development of Theodore Roosevelt’s leadership from his developmental years at Harvard to his two terms as president of the United States. Most of his time—or at least, the most memorable time—is spent with Roosevelt as a frontiersman in the Dakotas and a military colonel on the way to Cuba. In these anecdote-filled chapters, the reader is given a firsthand introduction to how Roosevelt became a leader and how his leadership forged the spirit of America for the next century. who unifies and empowers genuine diversity for a common good. In history, we celebrate stories of heroic leaders who take disconnected misfits and make them a strong army. If you are familiar with the Bible, you might think of David and his mighty men—a diverse group of malcontents who became champions under David’s command. If you are more familiar with popular movies, you might think of Remember the Titans, where Coach Herman Boone led a newly-integrated T.C. William high school to a state football championship. Indeed, we love to hear stories of leaders who take natural-born opponents and unite them together for the same cause. And even more, in our ultra-divided world, we need to hear these stories. And thankfully, there are many such stories that can be told. Recently, I came across such a story in Jon Knokey’s book, Theodore Roosevelt and the Making of American Leadership. In this fascinating book, Knokey tells the colorful tale of what happened when 1000 radically-different men from all over America were formed into a single fighting unit under the leadership genius of Colonel Roosevelt. Hi, the pastor asked me to make an announcement. So, here it goes. I know you are busy—we are all are busy, aren’t we—but we have an event coming up and we need help. We’ve made this announcement for the last three weeks. But we still don’t have enough help. It won’t take too much time and anyone can do it. Just sign up in the back as you head out today. Okay, this might be a bit overly dramatic—or underly dramatic. But these announcements are as common in well-meaning churches as foghorns on the coast of Maine. They begin with an apology; they make some non-descript invitation for everyone to do something; they often motivate with guilt, ease, or fear; and they fail to capture the wonder that the God of the universe who is building his church permits us to be a part of his work. 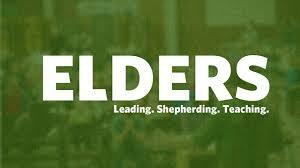 What Should Churches Do Who Have Elders? 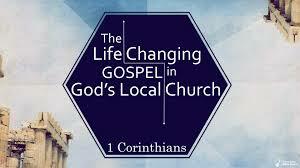 Titus 1:5–9 and 1 Timothy 3:1–7 give a host of qualifications for potential elders. Additionally, they give indication as to what an elder is supposed to do—to instruct the flock in sound doctrine and protect the church from false teaching, immorality, and division. Yet, what about the congregation? Does the Bible have anything to say to church members as to their relationship with the elders who shepherd them? While no virtue list exists for congregations like that of potential elders, the New Testament does instruct church members to love, support, and even submit to their leaders. In fact, from the context of many passages related to church leadership we find at least a dozen ways Christians should relate to those who lead them. What is an Elder Supposed to Do? When Paul instructed Titus to appoint elders in every town (1:5), he immediately listed qualifications to find those men (vv. 6–9). 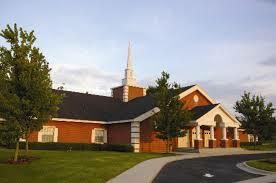 What he spent little time on was the specific tasks they were supposed to do as elders. From the remainder of the letter, it can be surmised that elders who oversee the church must silence false teachers (1:11), teach what accords with sound doctrine (2:1), model good works for others (2:7), exercise authority in matters of doctrine (2:15), and protect the flock from divisive persons (3:10). Yet, these are only some of the tasks mentioned in the New Testament. 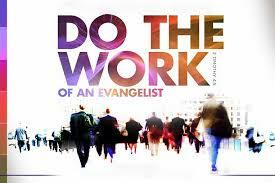 Today, I want to enumerate seven others, beginning with Jesus’ words to Peter in John 21.. It is arguable that the genesis of the pastoral office began on a seashore in Galilee. In John 21 Jesus went in search of Peter. Days before, on the night of Jesus’ arrest, Peter denied Christ three times. Crushed by his own disloyalty, Peter returned to fishing. However, as Jesus had called him to be a fisher of men before (Matt 4:19), he again came to restore Peter to Jesus’ ministry. Earlier this week, I highlighted three things about elders in the New Testament: (1) the term ‘elder’ is interchangeable with pastor and overseer; (2) elders function as a plurality of leaders in the local church; and (3) elders may or may not be compensated, which is to say an elder may be vocational or non-vocational.